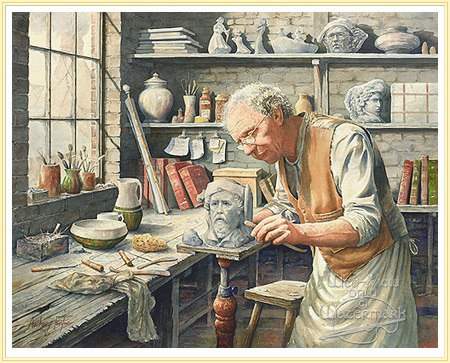 The original artisan of the Pottery Industry. Worked with pride in his profession and his product. This was one of the most skilled jobs in the Pottery Industry. He had to be an artist and designer with knowlege of the complete production process, including mould making to kiln processes and how firing reduced the size from its original dimensions to that of the finished product. From his finished original model, the master mould was made and then the production moulds, from these the familiar hollow ware products were produced fired and decorated.